Consolidating our forces becomes an important task when we must prepare for a struggle. 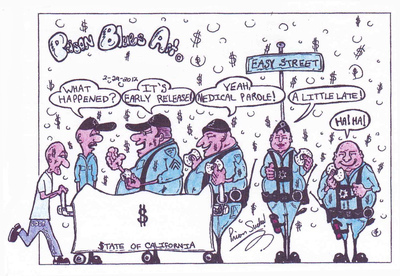 Right now in California prisoners are gearing up for a second round of struggle against the SHU and related issues prisoners face there. Since 2011, USW leaders have been doing what they can to consolidate the prisoner rights movement there, under torturous conditions of isolation and targeted censorship and repression. Recently it was brought to our attention that Michael Novick of Anti-Racist Action addressed MIM in an issue of Turning the Tide focused on a consolidation around a new group in alliance with the Black Riders Liberation Party. Drawing out our line differences is part of consolidating progressive forces around one line or another. Before getting to that, let me address an effort to consolidate our support base for Under Lock & Key. Having passed our five year anniversary of publishing Under Lock & Key we recognize the importance of revolutionary institutions that are reliable and sustainable. In those five years we have never missed a deadline, and ULK currently comes out like clockwork every 2 months, representing the voice of the anti-imperialist movement in U.$. prisons. A small minority of you have been right there with us providing regular reports, articles, poetry, art and finances for Under Lock & Key. Without your support we could not be that voice. While we have a writers group, a poetry group and an artist group that prisoners can join to become regular contributors, we have not had a funders group. Well, that has changed. And we encourage all readers who think ULK is important to join the funders group. As we all know, prisoners are a unique group of people in this country who sometimes don't have access to any money. But everyone should be able to find a way to contribute to Under Lock & Key, and sending regular funds is one way to do so. Like our other groups, those who are regular contributors will get priority for free books and other support. Here's how the funder group will work. To join, write to us and make your pledge, and whether you will pay it in stamps or in checks. A pledge should be the amount you will contribute to each issue of ULK, which comes out every 2 months. It costs us approximately $1 to get each prisoner a copy of ULK. Therefore to just cover your own issue you should pledge $1 per issue or $0.50 per month. So when should you send your donation in? For those who pay in stamps you can send them in any time that works for you, but at least once every 2 months to be an active sustainer. For those who pay by check or money order, please remember that WE CANNOT ACCEPT CHECKS MADE OUT TO MIM. We will send you information on how to donate once you pledge. If you have the option, send stamps as they can be applied most directly to our work. Of course, outside supporters can also become financial sustainers. Email [email protected] to make your pledge. We will record what you pay and track whether we meet our pledge goals for 2013. We'll also be able to see whether we can increase our pledges over the years to come, which we will include in our annual reports that come out each summer. 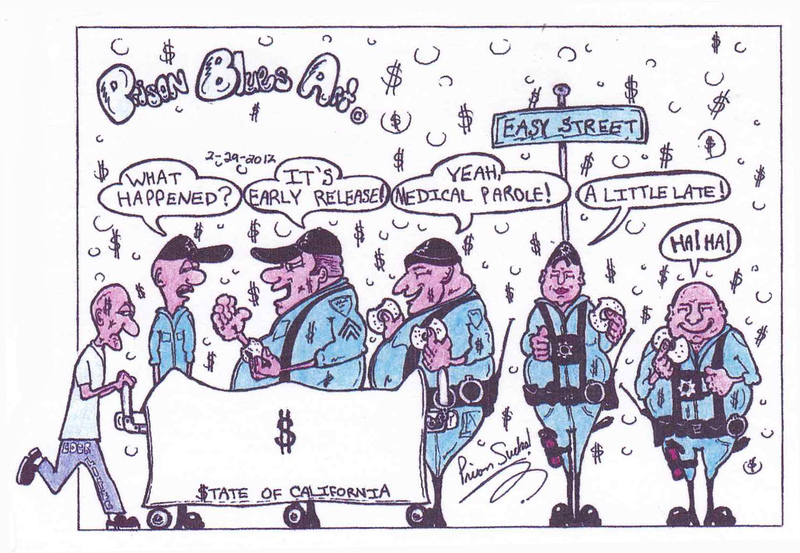 Cipactli gives us a breakdown of the latest in the battle for humyn rights in California prisons on in h article in this issue. 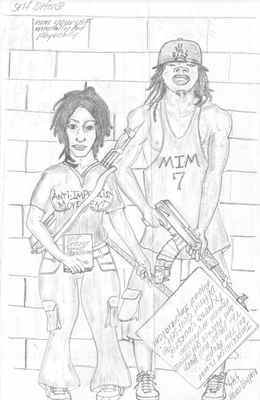 Leading up to July 8, 2013, the call was made for comrades in different sectors of the California prison system to draft up their own list of demands. 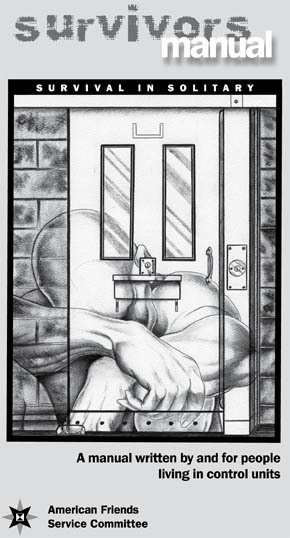 MIM(Prisons) has been working with the USW California Council to develop a list of demands that embody what we feel are minimal requirements to meet basic humyn rights for prisoners in California. Fundamental to that is abolishing the use of long-term isolation as well as punishment of people for their national, cultural and political associations. Although I support the original five demands and will continue to do so along with any future demands for justice. I felt the need to add to the dialogue... What I noticed from the five demands and many other proposals being kicked around is the absence of the very core of our oppression - the SHU itself. What we have learned since the initial strike was that many civil rights groups and people around the world see the SHU itself as torture. All or most of what is being asked for i.e. contact visits, phone calls, cellies etc. can be granted were it not for SHU. Even things like validation and debriefing become easier to combat when the SHU is out of the picture. So it is the SHU itself that becomes the kernel of our oppression in regards to the prison movement in general and the current struggle we are facing in Pelican Bay. This is why any proposals should have at the forefront the demand to close the SHUs! We can't afford for prisoners to sacrifice their lives [on a path that lacks philosophical/scientific understanding]. We're pursuing what is essentially a tactical issue of reforming the validation process as if it were a strategic resolution to abolishing social-extermination of indefinite isolation. This is not a complex issue to understand, and it requires a minimal amount of study at most to understand that the validation process is secondary and is a policy external to the existence of the isolation facilities. It's not difficult to comprehend that external influences create the conditions for change but real qualitative change comes from within, and to render the validation process, program failure, the new step down program, etc., obsolete, and end indefinite isolation, requires an internal transformation of the isolation facilities (SHU and Ad-Seg) themselves. Otherwise, in practice, social extermination retains continuity under a new external label. For decades now, MIM, and now MIM(Prisons), and many other groups have agitated around a campaign to Shut Down the Control Units in the U.$. As forces regroup around this struggle in California following the intense struggles in 2011, we are working to consolidate around a clear position on these issues for those who are in alliance with the movements for national liberation and against imperialism, and not interested in just playing games of back and forth with the various Departments of Corrections. The broader group of USW comrades in California will have a chance to review and comment on the our draft list of demands soon. Once finalized, we will be enlisting you to promote and agitate around these demands. We didn't have time or space to address Novick in full here. But many of you have seen his article in the latest Turning the Tide, so we want to address it briefly. First let's make some factual corrections. 1) MIM Thought has always put youth as the progressive force in the gender contradiction in the imperialist countries, not wimmin. 2) While exploitation does only occur at the point of commodity production according to Marx, MIM Thought draws lines of class primarily along access to wealth not what sector one works in. Novick's statement is confusing the explanation that certain nations must be exploiters to be dominated by service workers with our definition of the proletariat. 3) Later he accuses MIM of supporting neo-colonialism in South Africa, when ironically, MIM was on the front line of the movement in the U.$. in the 1980s supporting the revolutionary forces in South Africa that opposed the neo-colonial solution. He does so to take a stab at Mao's United Front theory. As to the line offered in that article, we are proven correct in drawing a parallel between Novick and the RCP=U$A line on class and nation in a critique written by the Black Order Revolutionary Organization in 2011. Comrades can read the commentary on the murder of Sunando Sen in this issue, and our recent review of Bromma's Exodus and Reconstruction (which has not been published in ULK) to get our line on nation in a neo-colonial world. Novick's position is presented as the line of inter-communalism "in an era when the nation-state... has become obsolete." 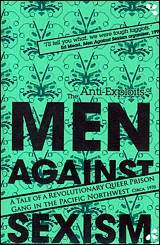 MIM(Prisons) has long been skeptical of inter-communalism (originally proposed by Huey P. Newton in the early 1970s). This presentation by Novick shows how "inter-communalist" ideology can lead to class collaborationism by ignoring the principal contradiction between oppressor nations and exploited nations. We expect to address these issues more in the future. In this issue, the broader topic of ideological struggle as part of consolidating our forces is expanded on in Ehecatl's article on the importance of study in this stage as the movement is beginning to grow. As editor, I lament the lack of international news in this issue of ULK. But we did not want another one to go by without printing our review of Zak Cope's new book on the labor aristocracy. This review does provide us with an outline of a theoretical framework for understanding global imperialism. It is also relevant to this issue of ULK in that it directly addresses the question of consolidating our forces ideologically, with what is the most important dividing line question of our time and place. 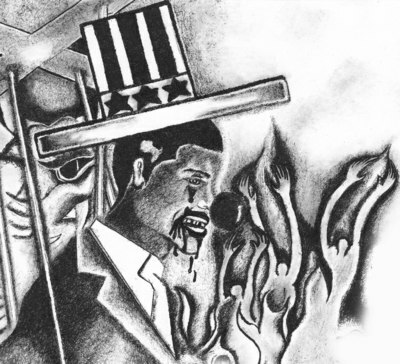 While we still struggle to push the MIM line on the labor aristocracy, MIM(Prisons) is going deeper to look at the oppressed nations in the United $tates to have a better analysis for our work. Soso's article on affirmative action is a piece of our developing line on this analysis that we will be releasing for peer review next month, and to the public in the not too distant future. MIM(Prisons) is also delving into a new project this month that we hope will expand our abilities to promote education and theoretical development among the prison masses. And this is the heart of our consolidation work. Consolidate means to bring together, but it also means to discard the unwanted as well as to strengthen. We like this word because it embodies the Maoist principles of one divides into two as well as unity-struggle-unity. In both cases we advance by pushing political struggle forward, rather than being Liberal in an attempt to preserve unity. Even at the level of the United Front, where unity is less tight than at the level of the cadre organization, we must hold to certain principles for the United Front to be meaningful and strong. Note: Turning the Tide. Volume 26, Number 1, Jan-Mar 2013. This zine is in the tradition of Night Vision by Butch Lee and Red Rover and other similar works from the same publisher on class, gender and nation. 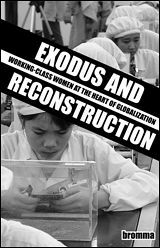 Exodus and Reconstruction: Working-Class Women at the Heart of Globalization is short and by necessity speaks in generalizations, some of which are more evidently true than others. It is definitely a worthwhile read for anyone serious about global class analysis. 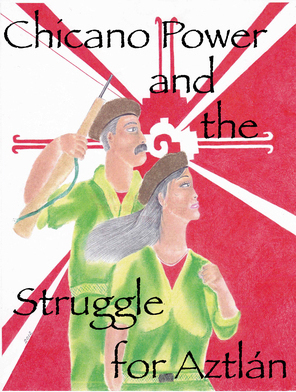 The main thesis of the essay is that starting around the 1990s there has been a major upheaval of the countryside in the economic periphery that has particularly affected biological wimmin, pushing them to migrate and join the ranks of the urban proletariat. This reality has major implications for the trajectory of imperialism as well as class struggle. As the author points out, the backwards modes of production in much of the world has provided a ready source of surplus value (s) due to the low capital investment (c) and high labor component (v) of production, the latter of which is the source of all profit. The implication is that while providing a short-term benefit to imperialism by bringing these large populations online in industry, this is undercutting the rate of profit (expressed in the equation s/(c + v) ). Not only that, but the domestic and agricultural labor that often falls on the shoulders of wimmin is important in allowing for super-exploitation of the historically male workers by allowing the capitalists to pay less than they would need to pay single workers to feed, clothe and house themselves. Without the masses living in semi-feudal conditions, continued super-exploitation will threaten the reproduction of the proletariat. In other words, more people will die of starvation and lack of basic needs or wages will need to increase reducing the superprofits enjoyed by people in the First World. Another component of this phenomenon not mentioned by Bromma is that a large portion of these workers being displaced from their land are from formerly socialist China which had protected its people from capitalist exploitation for decades. So in multiple ways, this is a new influx of surplus value into the global system that prevented larger crisis from the 1980s until recently. The difference between MIM Thought and the ideology that is presented by Bromma, Lee, Rover and others, is primarily in what strands of oppression we recognize and how they separate out. Their line is a version of class reductionism wrapped in gender. While others in this camp (Sakai, Tani, Sera) focus on nation, they tend to agree with Bromma's ultra-left tendencies of putting class over nation. Their approach stems from a righteous criticism of the neo-colonialism that followed the national liberation struggles of the middle of the twentieth century. But we do not see new conditions that have nullified the Maoist theory of United Front between different class interests. It is true that anti-imperialism cannot succeed in liberating a nation, and will likely fall into old patriarchal ways, if there is not proletarian leadership of this United Front and Maoism has always recognized that. Yet Mao did not criticize Vietnamese revisionism during the U.$. invasion of southeast Asia to preserve the United Front. (1) For anti-imperialists in the militarist countries it is similarly important that we do not cheerlead the Condaleeza Rice/ Hillary Clinton gender line on occupied Afghanistan. This is an explicit application of putting nation as principal above gender. This does not mean that gender is not addressed until after the socialist revolution as the rightest class reductionists would say. Whether rightist or ultra-left, class reductionism divides the united front against imperialism. While Bromma puts class above nation, h also fails to distinguish between gender and class as separate strands of oppression. (2) Specifically, h definition of what is exploited labor is too broad in that it mixes gender oppression with exploitation, based in class. The whole thesis wants to replace the proletariat with wimmin, and substantiate this through economics. While the "feminization" of work is a real phenomenon with real implications, it does not make class and gender interchangeable. And where this leads Bromma is to being very divisive within the exploited nations along class and gender lines. MIM Thought recognizes two fundamental contradictions in humyn society, which divide along the lines of labor time (class) and leisure time (gender). (3) We also recognize a third strand of oppression, nation, which evolves from class and the globalization of capitalism. Bromma argues that wimmin provide most of the world's exploited labor, listing sweatshops, agricultural work, birthing and raising children, housework and caring for the sick and elderly. But working does not equal exploitation. Exploitation is where capitalists extract surplus value from the workers performing labor. There is no surplus value in caring for the elderly, for example. In the rich countries this is a service that one pays for but still there is no extraction of surplus value. The distinction between service work and productive work is based on whether surplus value is produced or not, not a moral judgement of whether the work is important. The economic fact is that no surplus value is exploited from a nurse working for a wage in the United $tates, just as it is not exploited from a peasant caring for her family members in the Third World. The Third World service workers are still part of the proletariat, the exploited class, but they serve a supporting role in the realization of surplus value in the service sector. In reducing all these activities to exploited labor, Bromma is overstating the importance of housewives as sources of wealth for capitalists. If anything the drive to move Third World wimmin into the industrial proletariat indicates that more value is gained from wimmin by having them play more traditional male roles in production in the short term, ignoring the medium-term problem that this undercuts super-exploitation as mentioned above. The work of raising food and ensuring children survive are part of the reproduction of the proletariat, which under normal conditions is payed for by the capitalist through wages. When wages aren't high enough to feed a family and the womyn must do labor intensive food production to subsidize the capitalist's low wages, then we see super-exploitation of the proletariat, where the whole family unit is part of that class even if only the men go to the factories to work. 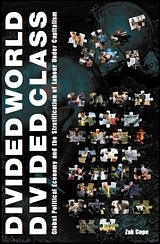 So unremunerated labor within the proletariat, even if it is divided up along gender lines, is part of class. In extreme situations we might say that those forced to stay home and do all the housework are slaves if they can't leave. In other situations we might see a whole segment of peasants that are subsidizing a class of proletarian factory workers outside of the family structure. Bromma generally implies that gender is an antagonistic class contradiction. While there are contradictions there, h goes too far in dividing the exploited masses who have the same basic class interests opposing imperialism. Like Bromma does, we too have addressed the situation we find ourselves in where more reactionary, criminal, religious and patriarchal groups are on the front lines of the anti-imperialist movement. Bromma explains this as a result of class and gender interests of these groups. An analysis that is parallel to our own of the rise of fascism in Germany and Italy. Yet we cannot ignore the brutal repression of communism and the promotion of ideologies like Islamic fundamentalism by the imperialists in shaping our current reality. Egypt is a prime example where brutal U.$. dictatorship repressed any socialist leaning political organizing for decades while allowing for the formation of the Muslim Brotherhood who then end up being the only viable option for a new government when the people decide the old puppet Mubarak needed to get out. The role of U.$. imperialism is principal here in forming the new puppet regime and not the class or gender interests of those who won the lottery of being chosen as the new puppets. You can find a minority in any social group who can be bought off to work against their own group without needing to explain it by class interests. On the other hand you have bin Laden's Al Qaeda, who also received CIA favoritism in opposing social-imperialism and communism, but remained a principled anti-imperialist force when the Amerikans took their stab at controlling the Middle East. The Bromma line would have us lump these groups together in the enemy camp of the bourgeoisie, while Maoists differentiate between the compradors in Egypt and the bourgeois nationalists who take up arms against the occupiers. No movement is perfect. But Maoism did more to address gender oppression than any other humyn practice since the emergence of the patriarchy. Bromma fails to recognize these advancements in h condemnation of the national liberation struggles that degenerated into neo-colonial and patriarchal states. To fail to emulate and build upon the feminist practice of socialism is a great disservice to the cause of gender liberation. 1. MC5. Evaluating Ho Chi Minh and the Vietnamese Revolution in 1969: The International United Front and the Impact on U.$. party-building. 1998. 2.see The Fundamental Political Line of the Maoist Internationalist Ministry of Prisons, Section 3: Three Strands of Oppression, March 2012. 3.see MC5. Getting clarity on what gender oppression is, 1998 MIM Congress resolution. A similar law in California was upheld by the 9th U.S. Circuit Court of Appeals, leaving conflicting legal rulings for different parts of the country. It is likely that these cases will move to the Supreme Court. Six states besides Michigan have banned affirmative action in school admissions: Washington, Nebraska, Arizona, New Hampshire, California and Florida. Debates over affirmative action in Amerika provide revolutionaries with an opportunity to talk about the history of national oppression and the reality of ongoing oppression today. But we need to be careful not to get caught up in the details of affirmative action alone. Based on college admissions information and population statistics, in recent years oppressed nations are actually attending college at rates that are approaching those of their white counterparts. But the story missing here is what's happening to the rest of the Blacks and Latinos who don't attend college, as well as which colleges each nation is attending. Affirmative action would impact the latter problem, but has no affect on the close to 50% of Black and Latino students who don't make it to high school graduation. Clearly there are still wide disparities in educational access as well as the degrees that oppressed nation students are achieving relative to their white counterparts. And a long history of differential college education leads to population statistics that reflect the overall lower educational achievement of oppressed nations. The table below shows the percent of the population with each degree by nationality. (3) The total percentages of each nation with a college degree should get closer together if oppressed nation enrollment continues to approach the population distribution. But that won't necessarily result in the same levels of education achieved. Few statistics are gathered on drop out rates between first grade and ninth grade, but state-based information suggests that middle school drop out rates are high. These no doubt reflect the differentials by nationality, leading to an even higher overall drop out rate for oppressed nations. It is almost certain that fewer than half of Blacks and Latinos who enter grade school complete 12th grade with a diploma. And the students who do graduate come away with an education so inferior that many are not qualified for college. On average, Black and Latino high school seniors perform math and read at the same level as 13-year-old white students. (5) This is not preparation sufficient for competitive college applications. The history of segregation in Amerikan schools mirrors the history of segregation and national oppression in the country as a whole. Access to education is a core value that Amerikans claim to embrace. While harshly criticizing the idea of free health care or other government-sponsored services, eliminating free education is a concept only a small group of Amerikans openly advocate. But equal access to K-12 education is an idea that has never been reality for the oppressed nations within the United $nakes. 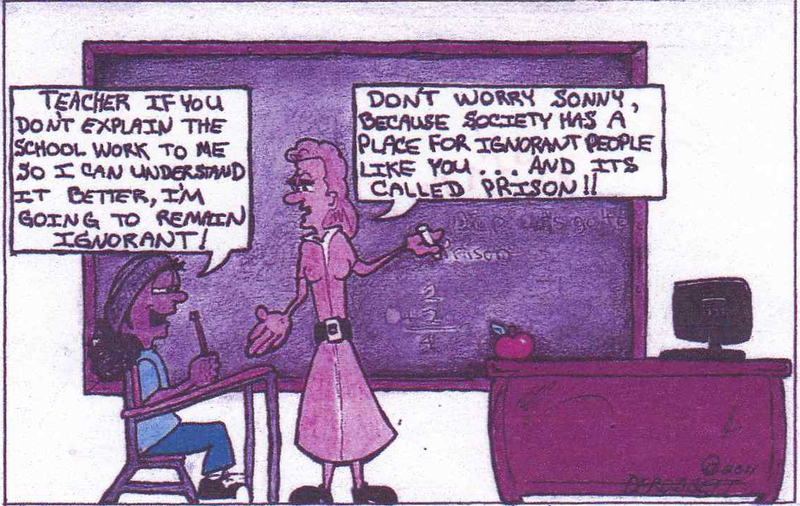 And the differentials in education are so stark that it is virtually impossible for those attending the segregated and inferior schools reserved for Amerika's oppressed nations to overcome these years of training and lack of good schooling to participate and compete as adults in the workforce. In the late 1950s, after the landmark Supreme Court Brown vs. Board of Education ruling, Amerikan public schools took significant steps towards desegregation. Through the late 1980s, with the use of bussing and other policies, the proportion of Black and Latino students in majority white schools increased and opportunities for education opened up to many oppressed nation youth. But during the 1990s this progress began to reverse and the trend has continued so that today segregation in public schools is worse than it was in the 1960s. This re-segregation is the result of government rollbacks in federal programs, Supreme Court limitations on desegregation, and active dismantling of integration programs. Essentially, the government determined that desegregation requirements could be ignored. This was partly due to shifting political winds, but MIM(Prisons) looks at the timeline for this re-segregation and finds no surprise that the timing coincides with the crushing of the national liberation movements within U.$. borders in the 1970s. As the public outcry against national oppression receded, with leaders either dead or locked up, and guns and drugs circulating widely to distract the lumpen, the re-segregation of schools was a logical result. And this segregation of schools is among the most obvious aspects of the ongoing national segregation within U.$. borders. The government reaction to the falling skills and education of segregated schools has been to implement "standards" and "tests" and "discipline" that they pretend will make these schools separate but equal. 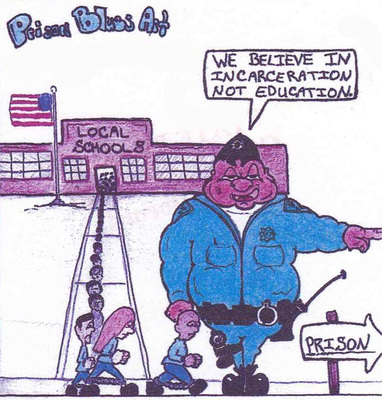 Yet no progress is seen, and the conditions in these schools continues to worsen. The changes in requirements for underfunded and predominantly Black and Latino schools has resulted in two very different education systems: one for whites which includes cultural classes in art, drama and music, time for recess, and classes that allow for student creativity; and another for oppressed nationalities that includes strict military-like discipline, long school days with no recess, rigid curriculum that teaches to very limited standards, elimination of "fluff" classes like art and music, all taught in severely limited facilities with enormous class sizes. This divergence between the school districts reinforces segregation as white parents can see clearly what their kids miss out on (and are forced to participate in) when they don't attend "white" schools. According to Kozol, "Thirty-five out of 48 states spend less on students in school districts with the highest numbers of minority children than on students in the districts with the fewest children of minorities. Nationwide, the average differential is about $1,100 for each child. In some states — New York, Texas, Illinois, and Kansas for example — the differential is considerably larger. In New York... it is close to $2,200 for each child." If these numbers are multiplied out to the classroom level, typical classroom funding for low income schools is on the magnitude of $30k to $60k less than for high income classes. At a school level these financial differences are staggering: a 400 student elementary school in New York "receives more than $1 million less per year than schools of the same size in districts with the fewest numbers of poor children. "(7) There is an even greater differential when low income oppressed nation districts are separated from low income white districts. There are a few low income white districts but they get more funding than low income oppressed nation districts and so pull up the average funding of low income districts overall. Kozol ties the history of re-segregation back to a U.S. Supreme Court ruling on March 21, 1973, (Edgewood Independent School District v. Kirby) when the Court overruled a Texas district court finding that inequalities in districts' abilities to finance education are unconstitutional. This was a key class action law suit, in which a very poor non-white neighborhood argued that their high property taxes were insufficient to provide their kids with adequate education while a neighboring rich white district with lower property taxes was able to spend more than twice the amount on students. In the Supreme Court decision Justice Lewis Powell wrote "The argument here is not that the children in districts having relatively low assessable property values are receiving no public education; rather, it is that they are receiving a poorer quality education than available to children in districts having more assessable wealth." And so he argued that "the Equal Protection Clause does not require absolute equality. 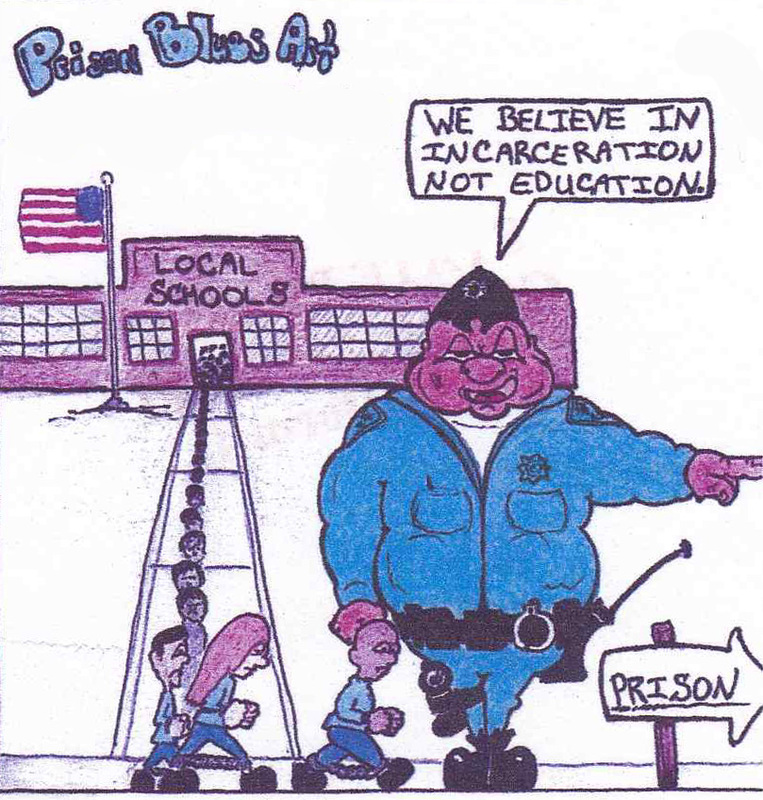 "(9) This means states are not required to provide funds to help equalize the educational access of poorer people. And because of the tremendous segregation in schools, these poorer students are generally Black and Latino. "In the early 1990s, the average Latino and black student attended a school where roughly a third of students were low income (as measured by free and reduced price lunch eligibility), but now attend schools where low income students account for nearly two-thirds of their classmates." "There is a very strong relationship between the percent of Latino students in a school and the percent of low income students. On a scale in which 1.0 would be a perfect relationship, the correlation is a high .71. The same figure is lower, but still high, for black students (.53). Many minority-segregated schools serve both black and Latino students. The correlation between the combined percentages of these underserved two groups and the percent of poor children is a dismaying .85." In spite of the suburbanization of nonwhite families, 80% of Latino students and 74% of Black students attend majority nonwhite schools (50-100% oppressed nations). Out of those attending these nonwhite schools, 43% of Latinos and 38% of Blacks attend intensely segregated schools (those with only 0-10% of whites students). And another segment of these segregated students, 15% of Black students, and 14% of Latino students, attend "apartheid schools", where whites make up 0 to 1% of the enrollment. "Latino students in nearly every region have experienced steadily rising levels of concentration in intensely segregated minority settings. In the West, the share of Latino students in such settings has increased fourfold, from 12% in 1968 to 43% in 2009... Exposure to white students for the average Latino student has decreased dramatically over the years for every Western state, particularly in California, where the average Latino student had 54.5% white peers in 1970 but only 16.5% in 2009." "Though whites make up just over half of the [U.S. school] enrollment, the typical white student attends a school where three-quarters of their peers are white." The overwhelming evidence that school segregation continues and even grows without concerted efforts around integration provides evidence of the ongoing segregation between nations overall within the United $tates. Even with residential patterns shifting and neighborhoods integrating different nationalities, families still find ways to segregate their children in schools. 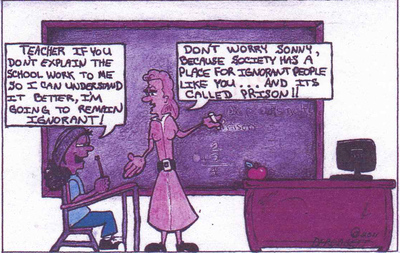 The dramatic school segregation in the United $tates points to both a national and class division in this country. First there is the obvious national division that is reinforced by school segregation, which places whites in a position of dramatic privilege relative to Blacks and Latinos. This privilege extends to poorer whites, underscoring the overall position of the oppressor nation. But there is also a class division within the oppressed nations in the United $tates. The education statistics put about half of oppressed nation youth tracked into the lower class, while the other half can expect to join the petit bourgeoisie which constitutes the vast majority of the Amerikan population. Our class analysis of Amerikan society clearly demonstrates that even the lower class Blacks and Latinos are not a part of the proletariat. But a portion of these undereducated youth are forced into the lumpen class, a group defined by their exclusion from participation in the capitalist system. Future articles will explore the size and role of this lumpen class. 6. Segregation in Education: The Shame of the Nation, Jonathan Kozol, 2005. This summer, the American Friends Service Committee (AFSC) released the fifth printing of their pamphlet "Survivors Manual: A manual written by and for people living in control units." 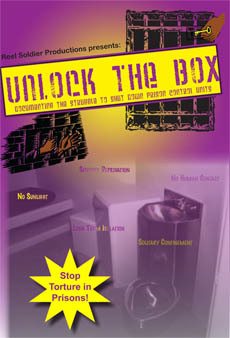 There were some good additions to the pamphlet, such as an excerpt from Bonnie Kerness's presentation from the STOPMAX Conference, some of which is featured in the documentary "Unlock the Box"; and a summary written by Bonnie of her years of experience working with and witnessing prisoners in isolation. Because MIM(Prisons) stands for justice and equality for all humyn-kind, in direct opposition to the capitalist-imperialist power structure, many of our comrades are targeted for placement in control units. This greatly minimizes their ability to organize others, communicate with comrades on the outside, and maintain a healthy mind and body. Others are targeted for isolation simply for attempting to learn the history of their people or help others with their legal work. So clearly, much of the information contained in this pamphlet is invaluable to our readership who are constantly threatened with, or are currently facing, time in the hole. The AFSC is a liberal progressive group, and there is some information in this pamphlet that we think is quite bad advice for our readers. At least one article says to avoid the prisoncrats if at all possible. The authors' purported goal is to get to general population or released, and to maintain some form of happiness. If the goal were to get to general population or released in order to be a more effective revolutionary organizer, of course we would agree. We don't advocate people go out looking for trouble, and we need to choose our battles wisely. But for prisoner activists, filing grievances on staff misconduct and unhealthy conditions is a primary method we use to defend ourselves and our fellow prisoners. Unfortunately, oftentimes these grievances lead to repression from the pigs. But we would not advocate that people shy away from this important work for the sole individualistic reason of self-preservation and happiness. The individualist approach is the bourgeois approach; in other words it's the approach that allows the bourgeoisie to win. Only by coming together can we protect each other and ourselves with real certainty. We are going to add this manual to our list of literature we distribute, but will only distribute a portion of it. We chose to not include the individualistic content above, and other content suffering from liberalism in one form or another: defeatist poetry; dating tips; and strategical advice that is in conflict with our lines on security. We left out other pieces due to redundancy. Of the content we did leave in, much of it we think is great advice that we would recommend everyone in isolation pick up for their own self-care. But do not take inclusion in this modified pamphlet as a 100% endorsement of each article; we did leave some content that we hold minor disagreement with.